Eligibility: HuntingNet.com’s Stay Safe This Summer Giveaway (the “Sweepstakes”) is open only to members of Hunting.Net.com. You must be a legal resident of the 48 contiguous United States or the District of Columbia, over the age of 18 with access to the Internet and a valid email account. All employees of Internet Brands, Inc. (“Sponsor”), all employees of Medicé(“Sweepstakes Partner”), all associated agencies and their respective affiliates, licensees or agents (collectively, “Sweepstakes Entities”), and their immediate family members (spouse, parent, child, sibling and their respective spouses) and those living in the same household of each (whether related or not), are ineligible to participate in the Sweepstakes. All applicable federal, state and local laws and regulations apply. Void where prohibited or restricted by law. Entry in the Sweepstakes constitutes your full and unconditional acceptance of these Official Rules. NO PURCHASE NECESSARY. A PURCHASE WILL NOT IMPROVE YOUR CHANCES OF WINNING. Sweepstakes Period: Unless specified otherwise, the Sweepstakes entry period begins on July 9th, 2017 11:59PM PST and ends 11:59 PM PST on August 9th, 2017 (the “Sweepstakes Period”). Winners will be selected from entries properly submitted and timely received during the Sweepstakes Period. Online Entry. 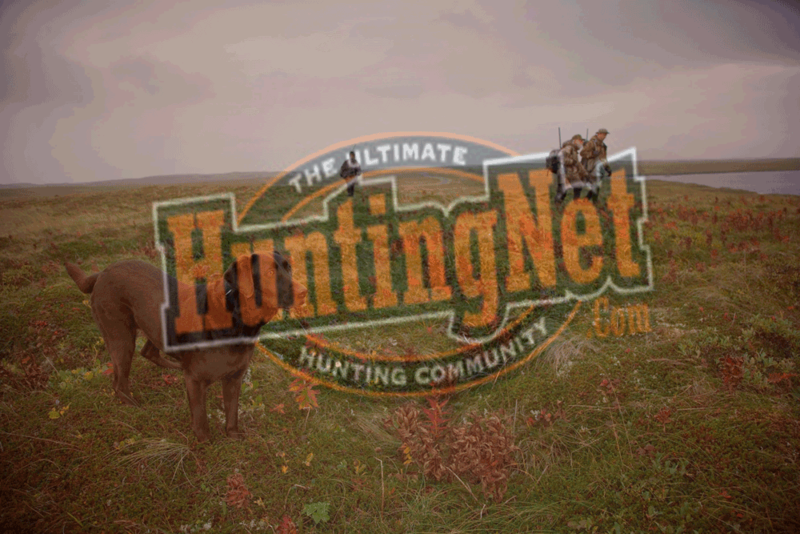 Visit HuntingNet.com and accurately complete a post on the Sweepstakes thread. The post must include a story sharing the entrant’s personal experience when a first aid kit came in handy. Limit one (1) entry per person or email address. Multiple entrants are not permitted to share the same email account. Use of any automated system to participate is prohibited and will result in disqualification. In the event of a dispute as to any registration, the authorized account holder will be deemed to be the participant. The “authorized account holder” is the natural person assigned an email account. The potential winners may be required to show proof of being the authorized account holder. Limit one (1) entry per person. All entries become the property of Sponsor and will not be acknowledged or returned. Incomplete entries are void. Proof of submission is not proof of receipt. Multiple entries and mechanically reproduced copies are void. Selection of Sweepstakes Winners/Odds: There will be three (3) winners. The winners will be selected within five (5) business days of the Sweepstakes Period. The winners will be selected at random from the members who accurately complete a post on the Sweepstakes thread during the Sweepstakes Period. The winners will be notified via a forum post on the Sweepstakes thread and through a private message within five (5) business days after the end of the Sweepstakes Period. The winners will be announced on the HuntingNet.com Sweepstakes thread. In the event that any of the winners are disqualified for any reason, Sponsor may, in its sole discretion, award the applicable prize to an alternate winner. Any return of prize notification or prize email as undeliverable will result in forfeiture of any prizes and an alternate winners may, at Sponsor’s discretion, be selected. Decisions of the Sponsor on all matters relating to the Sweepstakes are final. Sponsor reserves the right not to award all prizes in the event that an insufficient number of eligible entries are submitted, as determined by the Sponsor, at their sole discretion. Odds of winning the Sweepstakes will depend on the number of eligible entries received during the Sweepstakes Period. Prizes: There will be three (3) winners. The Grand Prize winner will receive five (5) Medicé first aid kits (ARV US $375). The second place winner will receive three (3) Medicé first aid kits (ARV US $225). The third place winner will receive two (2) Medicé first aid kits (ARV US $150). Sponsor will determine at random which prize will be awarded to each winner. Prizes will not be replaced if lost or stolen, are not transferable and are not redeemable for cash. Sponsor reserves the right to substitute a prize of equal or greater value if prizes or a portion of advertised prizes is unavailable for any reason. The Sponsor will deliver the prizes to the winners by Federal Express (FedEx), United Parcel Service (UPS), or a similarly suitable shipping service. The reporting and payment of any tax liabilities (federal, state and local) incurred by the winners as a result of the Sweepstakes are the sole responsibility of the winners. Any and all guarantees and warranties for merchandise prize are subject to the manufacturer’s terms and conditions, and the winners agree to look solely to such manufacturer for any such warranty or guarantee claim. Publicity: As a condition of entry into the Sweepstakes, except where prohibited by law, each entrant and winner, by accepting a prize, grants to Sponsor (and its affiliates, legal representatives, assigns and licensees), all right, title and interest in to publicize, broadcast, display and/or otherwise use the Sweepstakes entrant’s name, city, state, and biographical material (collectively, “Licensed Rights”) in any media for advertising and publicity purposes, without additional review, compensation, permission or approval of the winner. A winners may be required to execute and return an Affidavit of Eligibility/Liability and Publicity Release within five (5) business days of attempted notification or the winners may be disqualified and an alternate winner selected. Participants’ Obligations: By participating in the Sweepstakes, you agree to be bound by these Official Rules and the decisions of Sponsor. By accepting the prizes, the winners agree to release and hold Sweepstakes Entities and their agents and affiliates harmless from and against any and all losses, damages, rights, claims, actions and liabilities of any kind in connection with the Sweepstakes or receipt or redemption of the prize. The winner assumes all liability for any injury, death, or damage caused, or allegedly caused, by participating in the Sweepstakes or use or redemption of the prize. Any disputes that may arise hereunder shall be governed in all respects by the laws of the State of California without regard to the conflicts of laws principles of any jurisdiction. Venue with respect to any such disputes shall be had in the state and federal courts of the State of California. Winners’ List: For a list of the Sweepstakes winners, send a self-addressed stamped envelope to: Internet Brands, Inc., Attn: HuntingNet.com’s Stay Safe This Summer Giveaway Winners’ List, 909 North Sepulveda Boulevard, 11th Floor, El Segundo, CA 90245. Requests for winners’ list must be received within thirty (30) days after the end of the Sweepstakes Period.